Prevent disease, by promoting a safe community and healthy environment to all residents and visitors, while upholding public health based regulations, which protect the quality of life. Click here to visit the Health Department website where you can find information about up-to-the minute health information. Do you have any unwanted or expired medications? Medications play an important role in treating certain health conditions and diseases, but they must be disposed of with care to avoid harming the environment or others. 70% of people who abuse prescription pain relievers get them from friends or relatives. 1 in 5 high school students have abused prescription drugs. EPA studies have detected pharmaceutical drugs in our water supply. 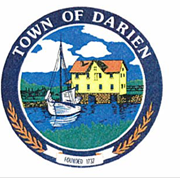 MedReturn is now available 24/7 in the lobby of the Darien Police Department located at 25 Hecker Lane, Darien.